My all-time favorite TV show, Mystery Science Theater 3000, is coming back in April for the Kickstarter backed Season 11. 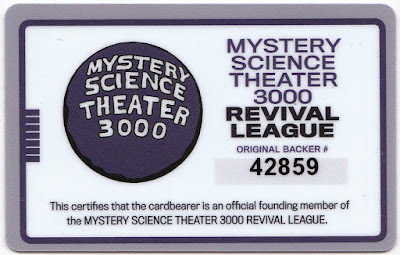 Back in November 2014, Joel Hodgson, the creator and first host of the show, began their fan-funded campaign to bring back the series and I think it is fair to say that the excitement of the idea blew away everyone's expectations. In the end, the Season 11 campaign had over 48,000 backers and raised over $5.7 million dollars. It proved so popular that Netflix bought the project and new episodes begin airing April 14th. Here is the trailer to the new season which features all new characters from the original series...except for the bots. 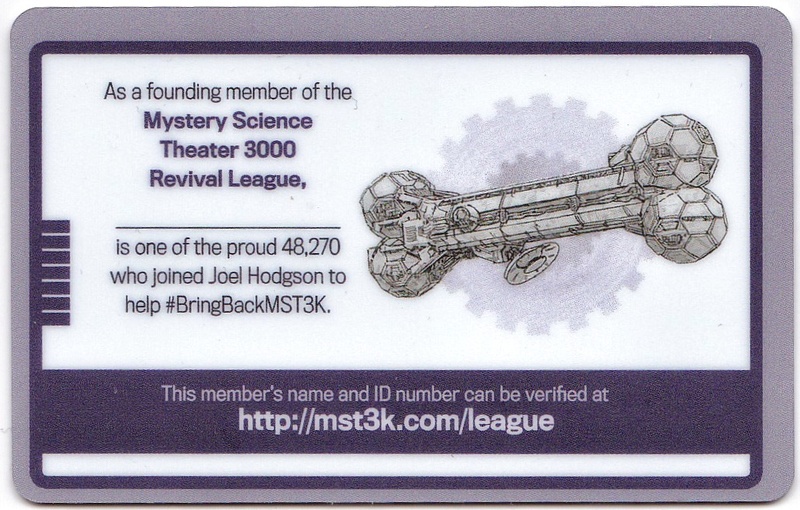 Of course, I donated to the Kickstarter and as part of the perks we could request a MST3K membership card. Mine came in the mail earlier in the year and I'm proud member #42859. If you look at the front and scream "I'm not just a number, I'm a human being!" then you can add your name to the reverse side. I don't have the heart to write on it yet but maybe someday. 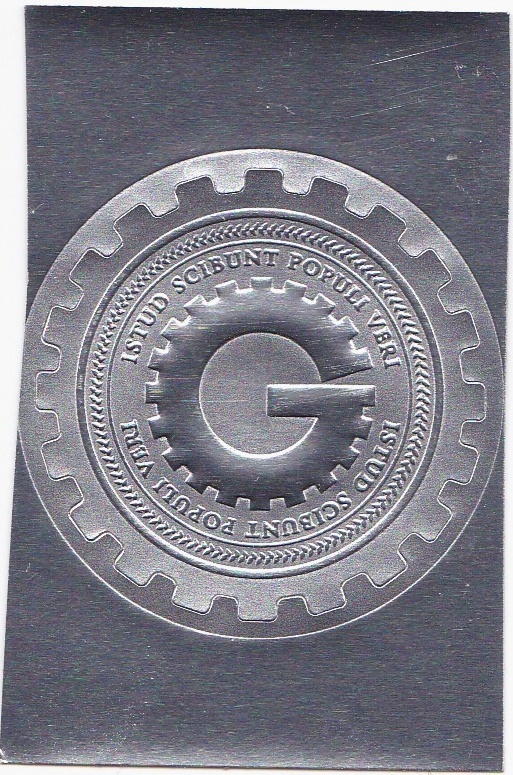 There is also a certificate I can print out and they were also sent a Gizmonic Institute sticker add to it. 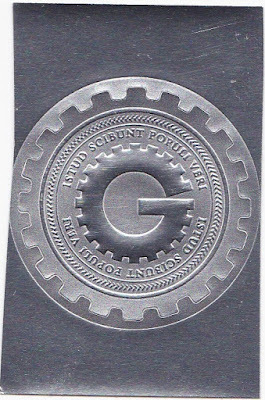 Gizmonic was the backdrop of the original experiments of the series and around the "G" you will notice the Latin phrase "istud scibunt populi veri." With a little research and twisting the meaning slightly it roughly states "the right people will get it" which I think is a perfect sentiment for the series as a whole.